In 2016, Banco Votorantim hired Catavento to conduct a specialist’s panel on the transition to a low carbon economy. The discussion panel with senior executives and renowned professors aimed to promote a structured dialogue with relevant stakeholders and stimulate the conversation within the company. The panelists discussed how financial institutions can contribute to the transition agenda and the potential challenges of this new scenario. In a further engagement, Catavento proposed guidelines for the bank’s climate change policy. The process integrated key insights from the panel, the bank’s preexisting climate change practices and a trend analysis of the financial sector and key benchmarks. The guidelines serve to orient the Banco Votorantim in a transition to a low carbon economy, with a priority on both protecting and creating value. In 2014, Banco Votorantim hired Catavento to help integrate sustainability criteria into their management process. The process started with a long-term trend analysis of the company’s business environment. This process was complemented by structured interviews with external specialists and executives of the bank. In 2015, the bank asked for Catavento’s support to conduct a specialists panel with company executives, professors and other industry experts. The goal of the panel was to create a structured dialogue between stakeholders. During the panel, Banco Votorantim’s Executive Board of Directors had the opportunity to discuss, in an open and transparent forum, the consequences of socioenvironmental changes in relevant business sectors. The participants also analyzed how financial institutions are adapting to this new scenario and how they could contribute to their clients’ adaptation. Simultaneously, Catavento helped the bank revise its sustainability governance model, allowing for the inclusion of socio-environmental risk evaluation and contributing to the bank’s compliance with Brazilian Central Bank and Febraban rules. by structured interviews with external specialists and executives of the bank. Banco Votorantim is currently one of the largest Brazilian banks in total assets, and has a robust shareholder base, comprised of Votorantim Group, one of Latin America’s largest private-sector conglomerates and Banco do Brasil, the country’s largest financial institution. Historically, Banco Votorantim acted mainly in wholesale, treasury and investments. In recent years, it has grown and expanded its scope of action, seeking to increase its revenue and asset base through a diversified business portfolio of Wholesale Bank, Wealth Management and Consumer Finance. 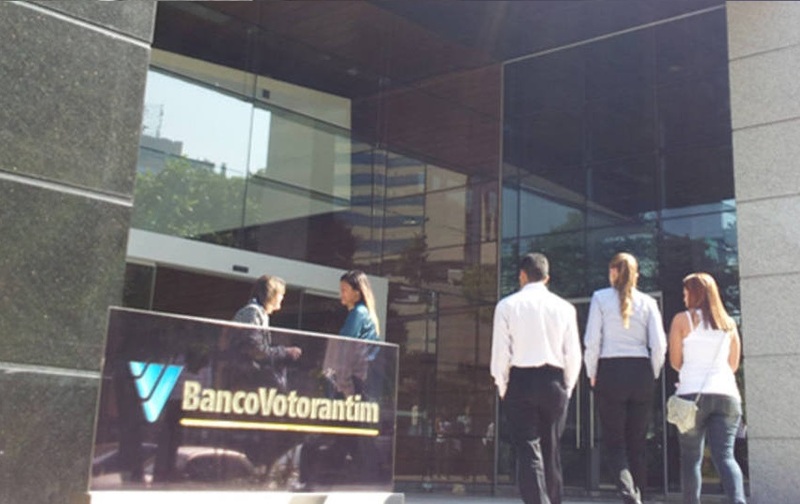 Banco Votorantim operations are carried out by a group of controlled institutions that operate in the financial market in an integrated manner, including with respect to risk management. Such controlled companies include BV Financeira, BV Leasing, Votorantim Asset Management (VAM) and Votorantim Corretora de Títulos e Valores Mobiliários.